Being a customer centric organization, we are involved in manufacturing and supplying a supreme quality range of Crown Corks in Vadodara, Gujarat, India. 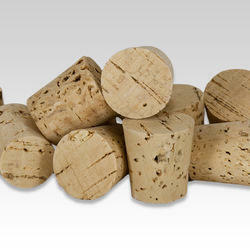 These corks are manufactured by utilizing supreme quality raw materials and innovative technology. Furthermore, we provide these Crown Corks at very nominal rates. Cork Ring is very use to keep Round-bottom flasks offer many advantages for chemical work that requires heating a liquid, but suffer from a major storage and handling drawback: They don’t sit flat on a work surface.